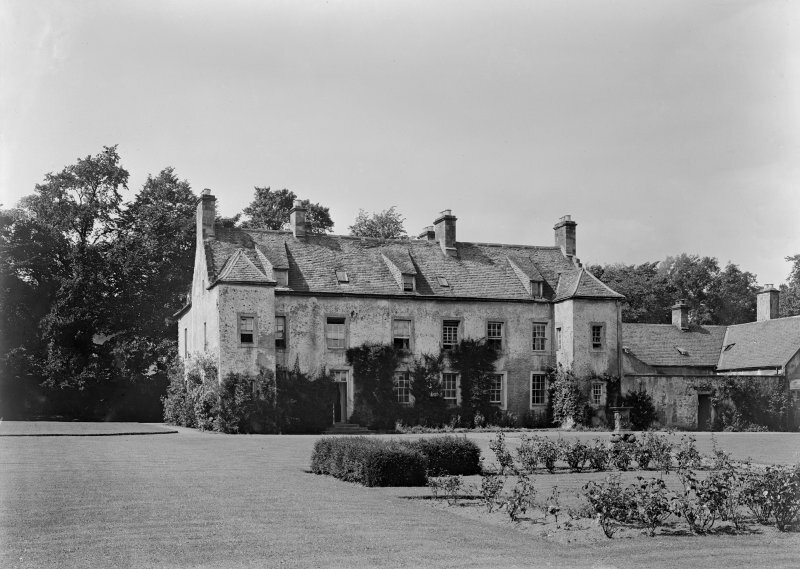 Aberdour House, originally known as Cuttlehill House, is a 17th century building, reconditioned and enlarged in 1715. It is oblong on plan with a short wing projecting eastward at each end. Its overall measurements are 67' by 41 1/2', excluding the kitchen premises, which are grouped round a small court to the N. On the lawn to the E of the house is a late 16th century pedestal sundial. Aberdour House is as described. It is the property of the Moray Estates Ltd, occupied by a tenant and in good condition. Aberdour House is now undergoing renovation and has been harled. The sundial is as described. Late 17th century. Plain symmetrical traditional style. Small. 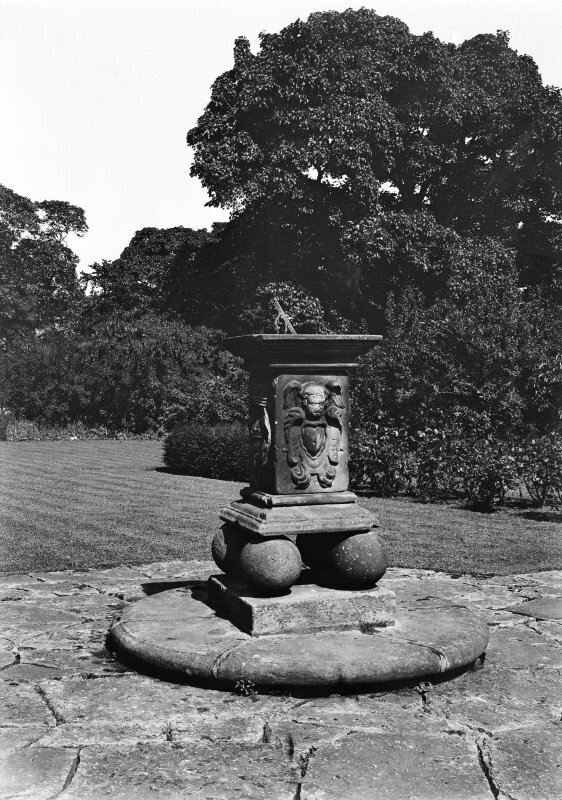 Owner: The Earl of Morton, later Dalmahoy Trustees per. Hon. Charles Douglas, Dalmahoy, Kirknewton. Occupier: Miss H.J.M Cunningham. Slater work at Aberdour House. Account adn receipt for slating the Coach House and repair of mansion house and offices. Wright work at Aberdour House. Plastering the offices of Aberdour House. Measurement of work and receipted account from John Milne, plasterer. Procuring of timber for the proposed new house. Letter from John Smith at Lambeth. He advised the Earl of Morton not to use elm. Report on progress at the house. 'Mr Paterson is now doing the work at the house and Mr Watson is to be over on Monday and the lead is already at Aberdour for Mr Grahame to lay on when the other two have finished I expect the Pavier over the beginning of the week to dress the 1400 stones. Letter from 3 am. Charters to the Earl of Morton. 'I have given Mr Drummond the draughts of Cutlehill to take Mr Gibb's opinion upon it. Letter George 12th Earl of Morton to his son James, Lord Aberdour. Aberdour [formerly Cuttlehill] House. 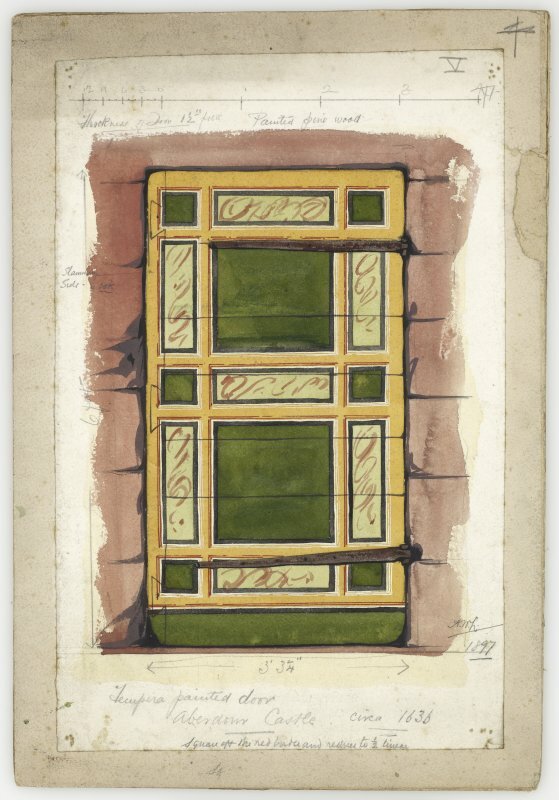 Advice sought about proposed alterations, 1731. George, Earl of Morton, (in London) to James, Lord Aberdour. 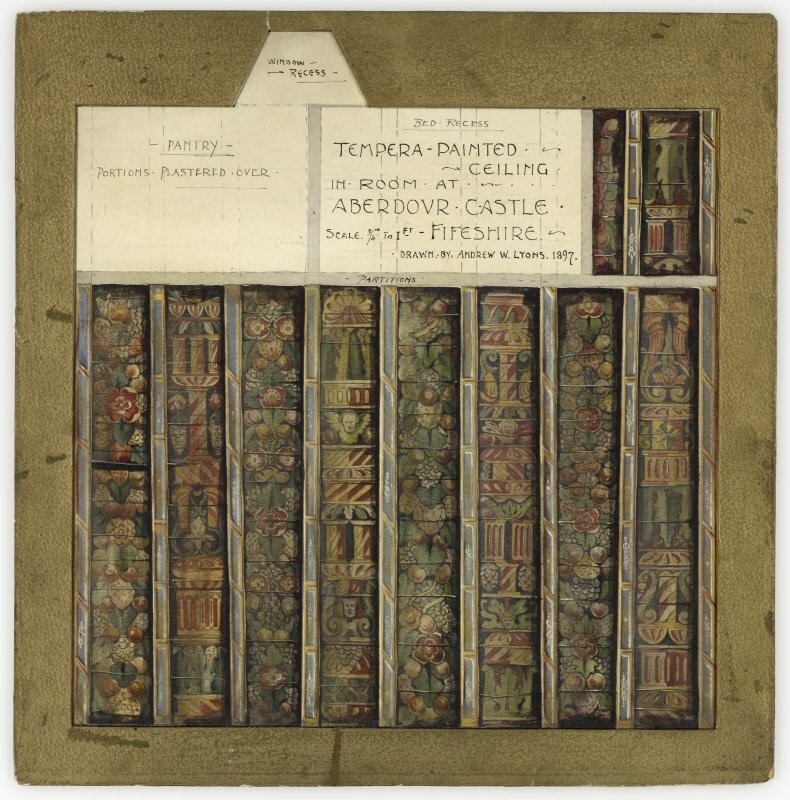 16 March, 1731; "I have given Mr Drummond the draughts of Cutlehill to take Mr Gibb's opinion upon it, and so soon as they (are) returned I shall remit them to you"